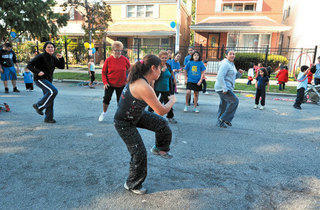 A national initiative encourages Chicagoan to go outside. Despite David Bowie and Mick Jagger’s invitation, dancing in the street is highly impractical, even dangerous. 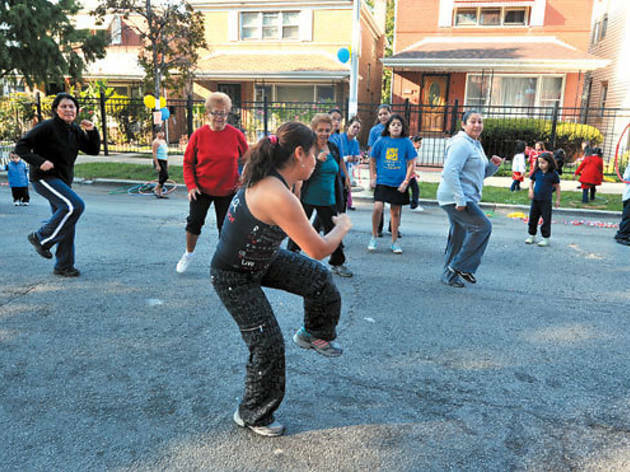 Enter PlayStreets, a national initiative that started in Chicago last year. Influenced by a similar program in New York, PlayStreets provides participating neighborhoods with three-hour periods of uninterrupted outdoor activity and closes streets to make that possible. On Monday 25 through Friday 29—Chicago Public Schools’ spring break—eight neighborhoods, including Little Village, Englewood and Washington Park, will take part. PlayStreets happens Monday 25–Friday 29. Visit ahealthieramerica.org/play-streets for hours and locations.